Michael Shulman is an outstanding modern violinist with almost 30 years of performing experience and the artistic creator of the “Shred Violin” brand. He has a distinctive sound so unique that it’s incomparable with any other violinist alive. Musically it is strongly reminiscent with the Hard Rock and Metal guitar style of the 80’s but with its own blend of finesse and various cultural and ethnic qualities. Being a master in Rock and Metal, he is also an avid practitioner of Pop, Fusion, Classical, New Age and World music. Michael has traveled the world for many years and made his mark in Montreal, New York, Tel-Aviv, Moscow and Bremen. He has collaborated with many musicians along the way, some of which included well-known and respected artists like “Trans-Siberian Orchestra,” Martin Walkyer (Sabbat/Skyclad/The Clan Destined) and a visionary guitarist Estas Tonne. 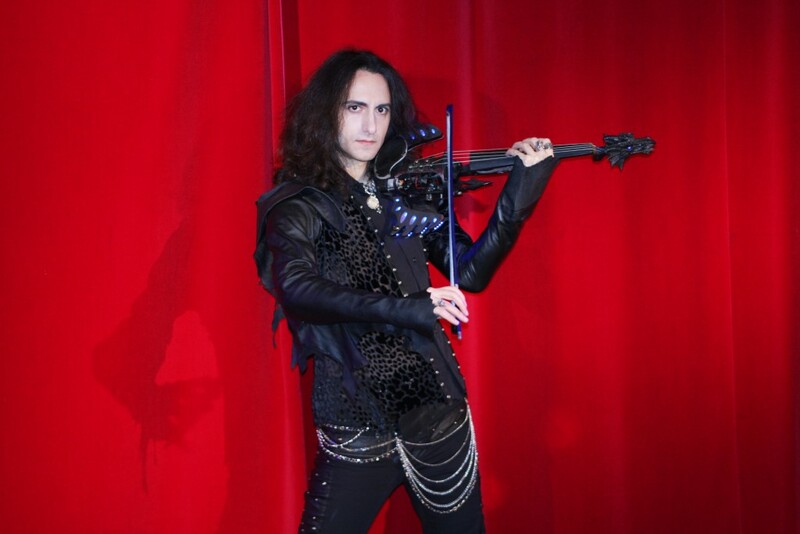 As a solo act, his performances are highly improvised both musically and artistically, using the elements of Theater, Freestyle Dancing, Martial Arts and sometimes Singing, – all of which while playing the violin at the same time. Michael has been noted for his great compositional skills, namely his ability to instantly create a truly melodic, memorable and lyrical violin melodies, using a combination of notes from a vocabulary that is both beautifully poetic and highly intelligent. The sounds that he makes on his violin touch the listeners on a profoundly deep level – allowing them to meditate, think and feel without limits, but in a format that remains very entertaining to listen to and behold. Michael has a fiery energy and the devotion to his art that has been inspiring to other musicians through the years. He gets high acclaim from both his peers and critics alike, who can agree that Michael is a very gifted and creative artistic force. In 2016, beside continuing his solo activities and releasing songs and videos, Michael has created a new project “Dancing Violins” together with a remarkable Gypsy/Classical/Pop violinist Esmeralda. The duo released their first material to the public in 2017. In 2018 Michael took “BLЭК” (pronounced – black) as his stage name. A new chapter has began.